Using data from Chandra and the Sloan Digital Sky Survey, scientists have found evidence that supermassive black holes in the early Universe grew intermittently in the first billion years after the Big Bang. They compared theoretical models to data including the Chandra Deep Field-South and other Chandra surveys. 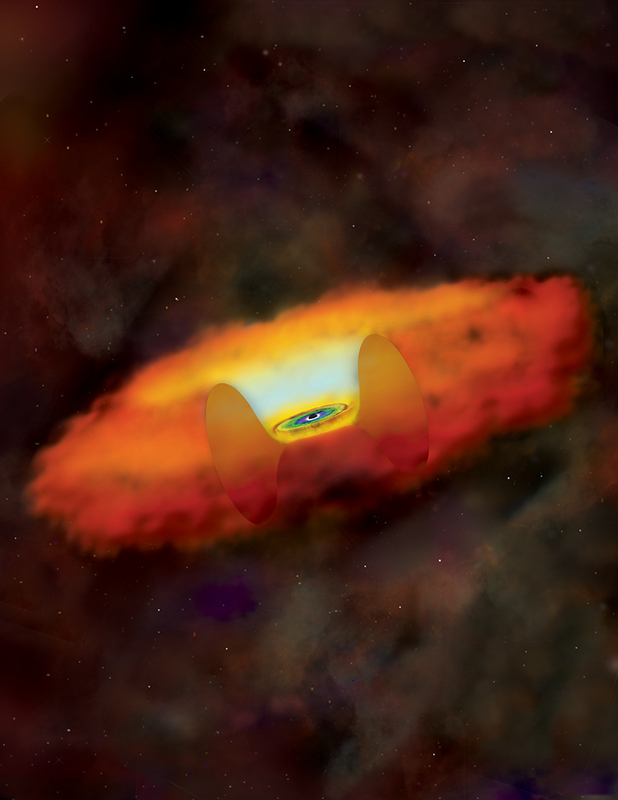 The artist's illustration depicts gas falling onto an actively growing black hole via a disk. 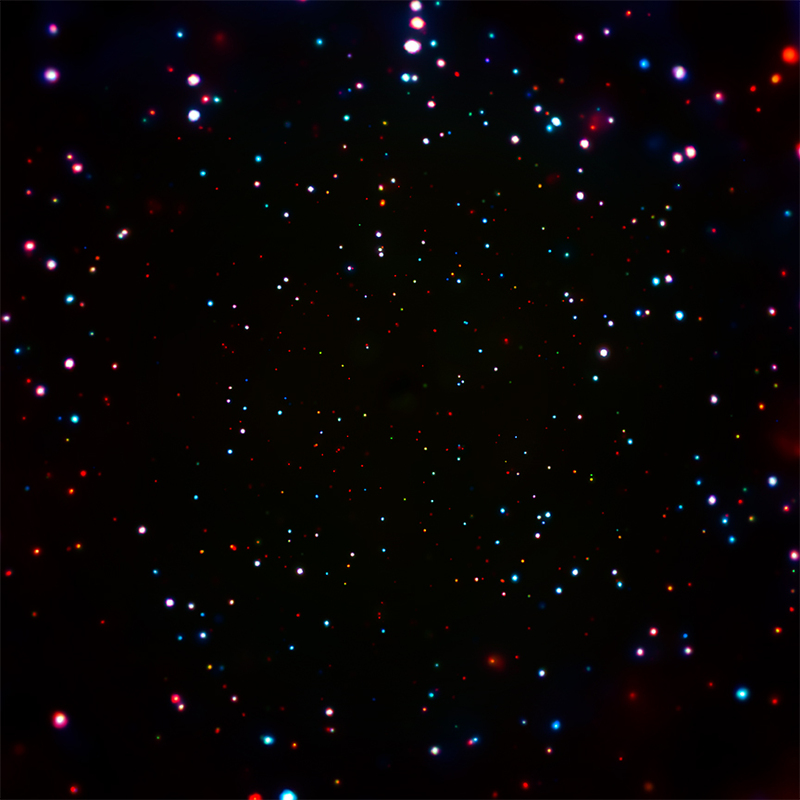 While X-rays from this disk can penetrate the cocoon of material surrounding the black hole, few if any from beyond 13 billion light years have been found in long Chandra observations. This indicates these very distant black holes in this period may grow quickly but only for short periods of time.